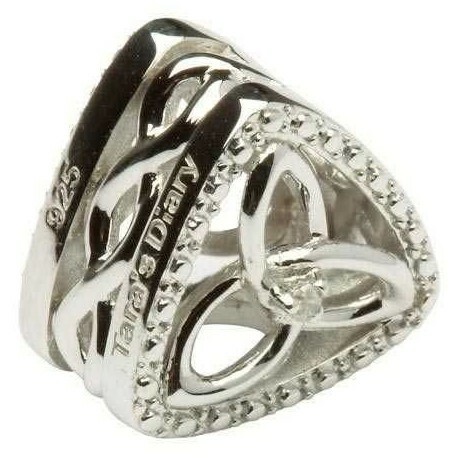 A Sterling Silver Diamond Set Charm with Trinity Knot detail from Tara's Diary. 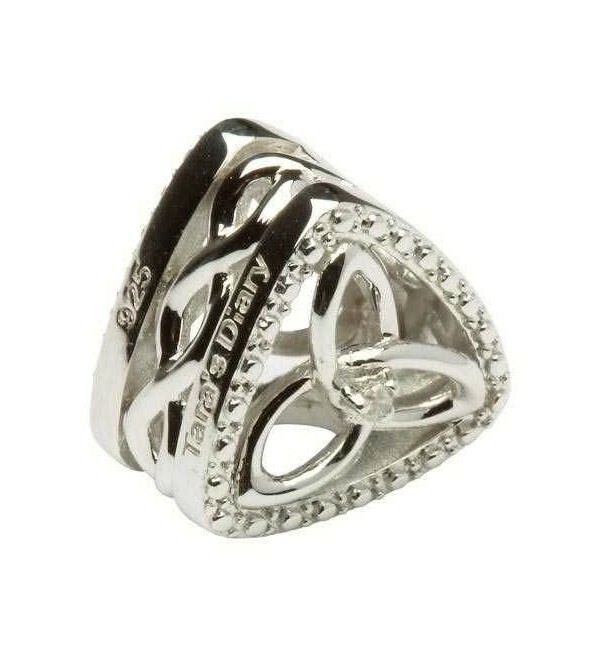 This endearing bead boasts a Celtic Wave design along the side and a fine knot detail with a diamond center on the face. The beautiful, linear detail in the Celtic Wave suggests a journey, or long lasting path to be travelled. The arcs of the wave pattern mimic that of ocean waves and represent steady, flowing movement over time. On the face of this darling bead a Triquetra design is depicted, or as it is more commonly known, a Trinity Knot. This Celtic Symbol suggests the Power of Three and can be trinity energy of many things, such as The Father, Son and Holy Spirit, Love Protection and Honor, or Sea, Land and Sky. Use this symbol as a sign of Protection, Faith or Inspiration on your chosen path. Add this bead to the ShanOre bracelet or necklace you've been building your Tara's Diary Collection on. Suggest a state of natural flow and balance in your life, or hint at a personal testament of faith. Proclaim in feminine and delicate beauty, your proud dedication to a special progress.